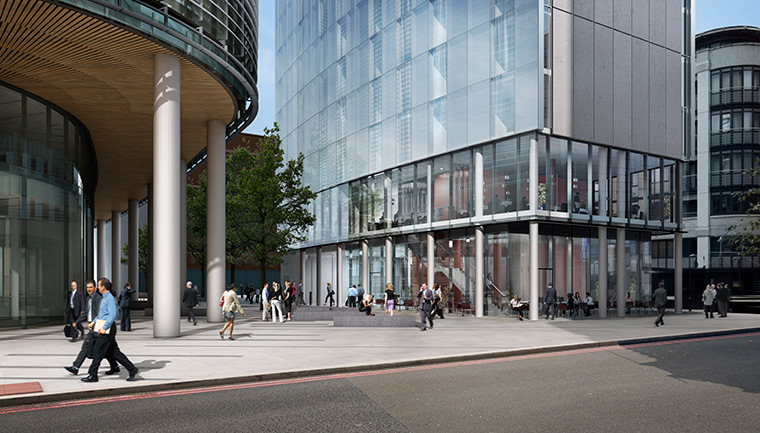 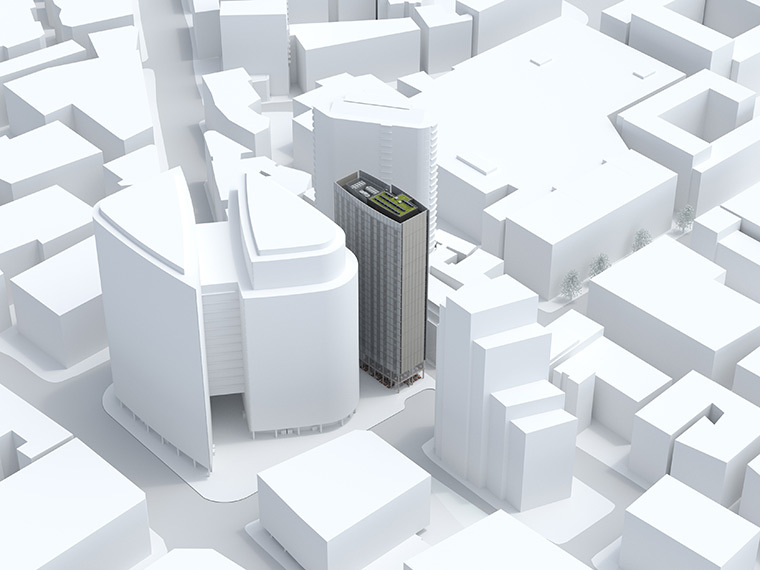 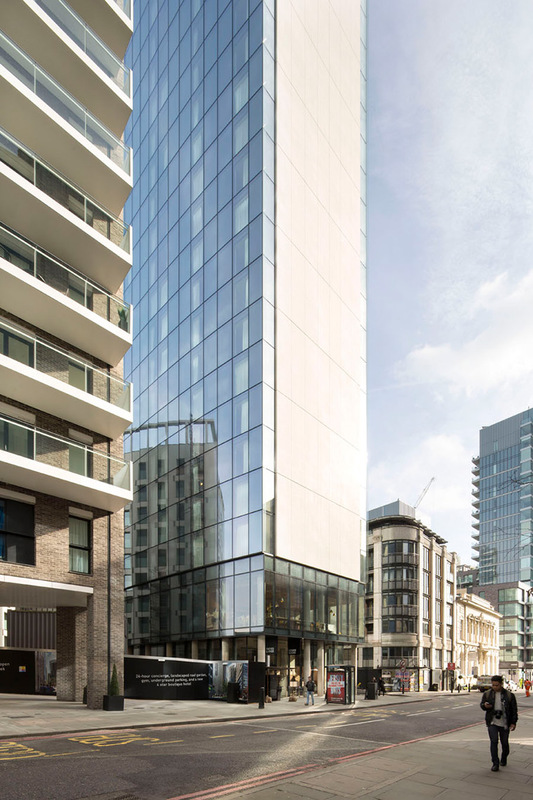 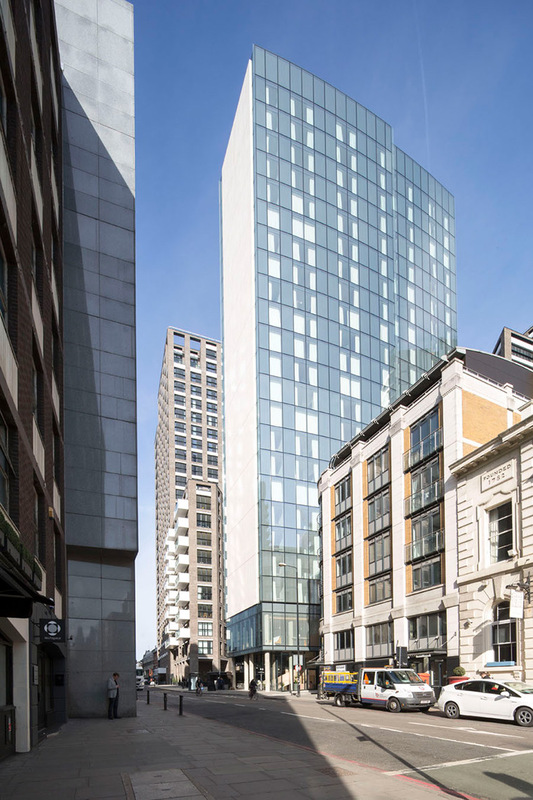 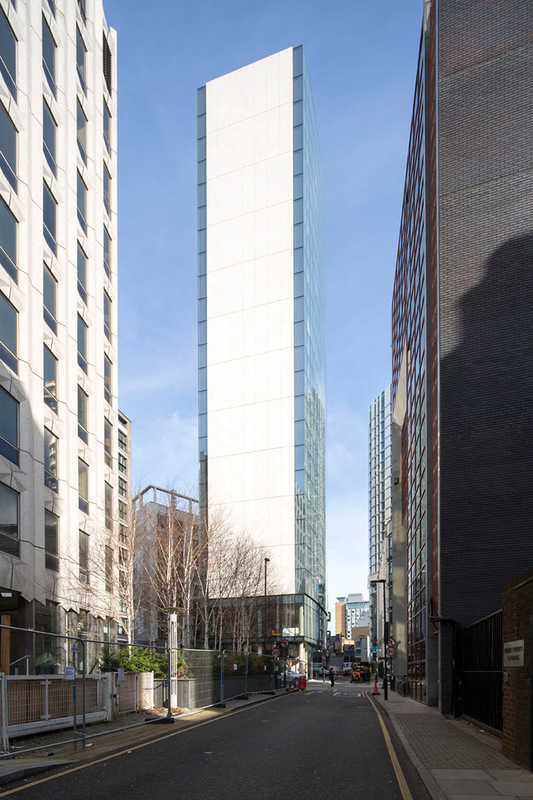 Part of the Aldgate Masterplan and the City Fringe regeneration zone, this slender 23 storey tower hotel responds to the site’s modest footprint of 32m x 16m with a reduced palette of materials to emphasise the clean lines of the form. 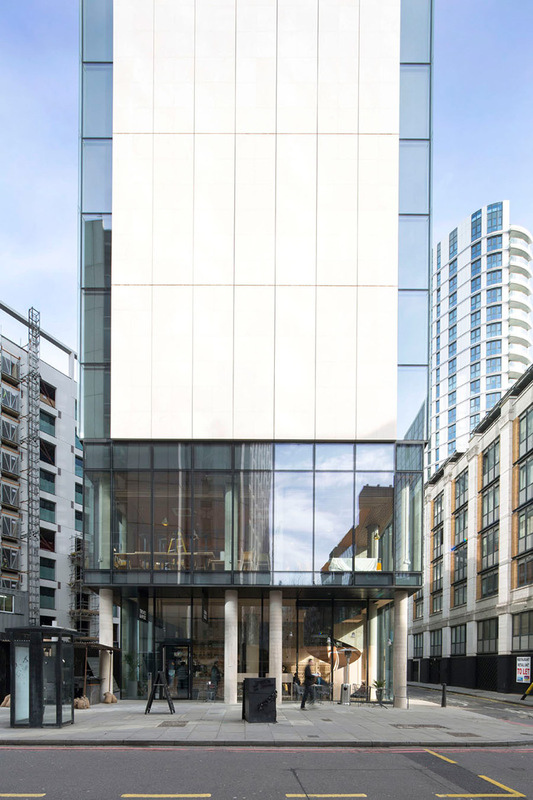 The two long façades are gently curving glass with stone clad ‘bookends’. 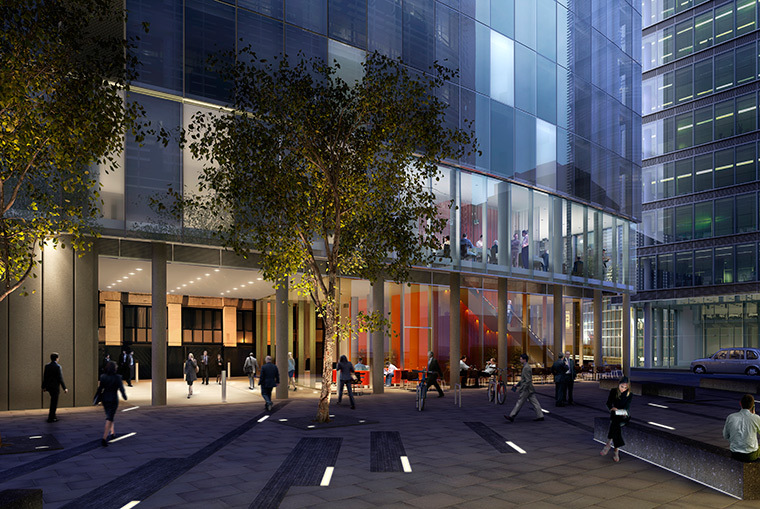 A new public pedestrian route passes through the centre of the building, allowing the hotel lobby, cafe and bar to open out on four sides of the ground floor and create an active street front. 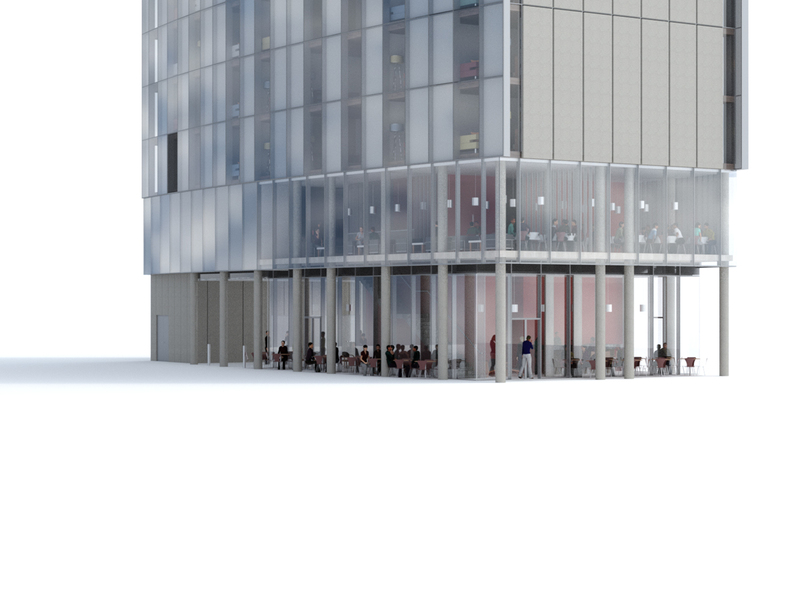 The restaurant is at first floor level so as to overlook and further animate the public realm. 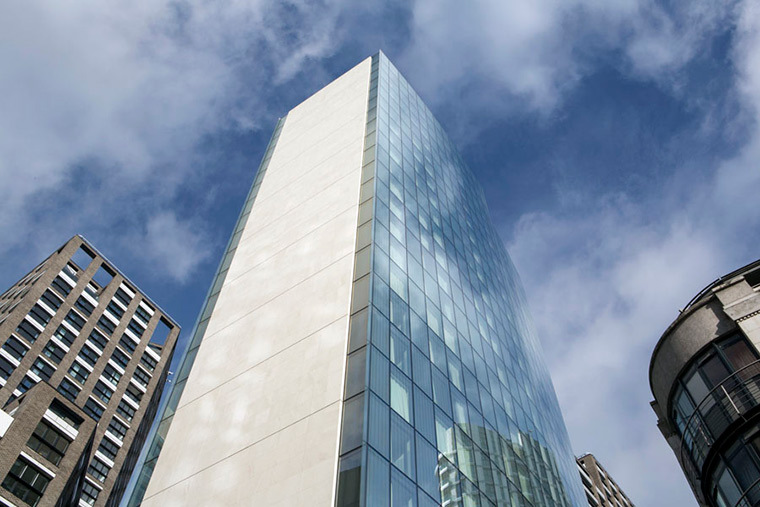 Client – Pinehill Capital S.A.